The ecoAnchor is a totally unique concept in fall protection and uses renewable resources for both manufacture and installation. Due to the massive weight saving durring transportation it can also reduce the carbon footprint. The anchor is constructed of a special natural rubber material that holds the bag in a solid cube form when filled with water. Its design also allows for a low weight footprint. Note: 50 lbs per square foot. 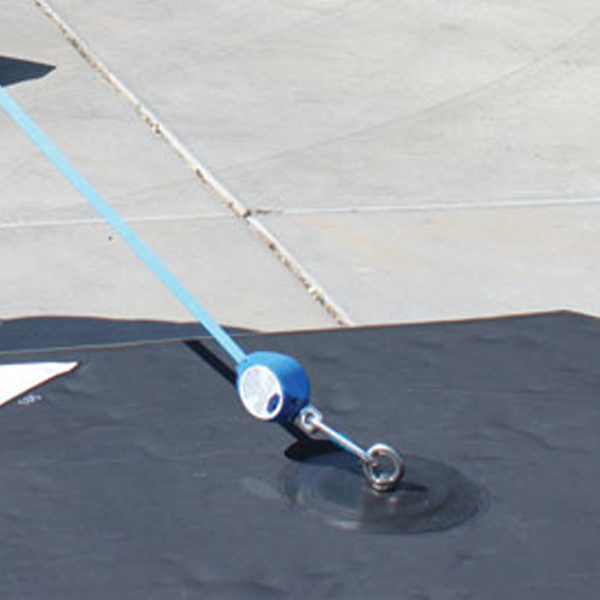 The ecoAnchor is compatible with a large variety of roof surfaces including composite and mineral felts. It has been tested to exceed the EN795 class E standard and is suitable for use on a pitched roof of up to 15 degrees. 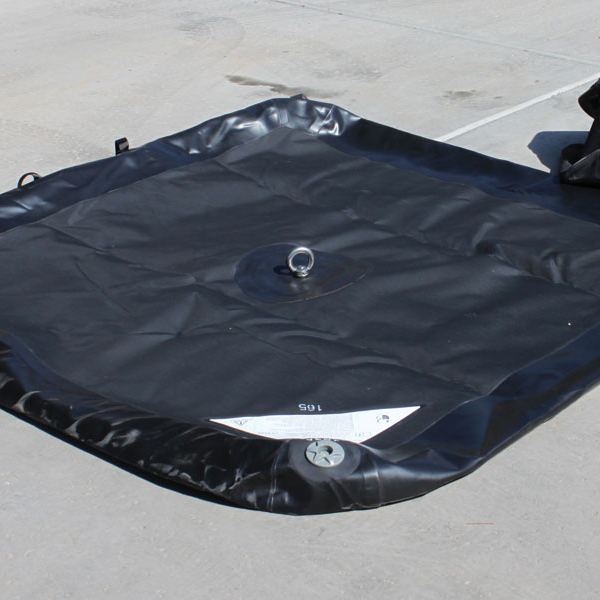 It is also compatible for use with the Ultra-Safe 96964-80 temporary life line systems. This will allow spans of up to 80 feet by linking two ecoAnchors together to create a 2 person system simply and quickly. 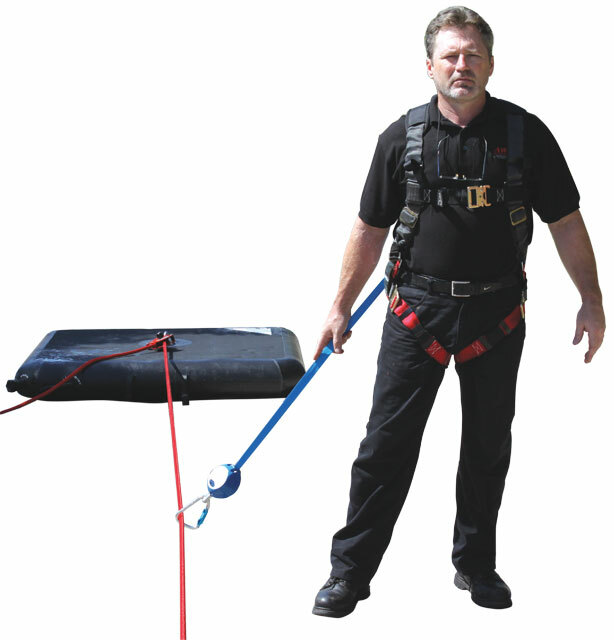 When collapsed, the ecoAnchor weighs just 17.6lbs, fitting in a small bag, and avoiding the need to transport, or carry, heavy weights to the top of a building prior to installation. STEP 1Remove bladder from bag with attachment eye in the upright position. STEP 2Attach water hose and adapter to intake spout. STEP 3Fill with water until water sprays out through the relief valve located on the opposite side. 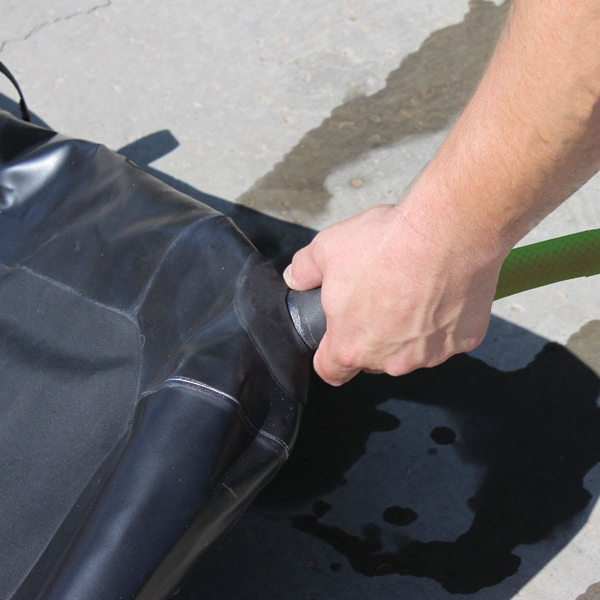 STEP 4Remove hose and insert plug into spout. Bladder is ready for use. 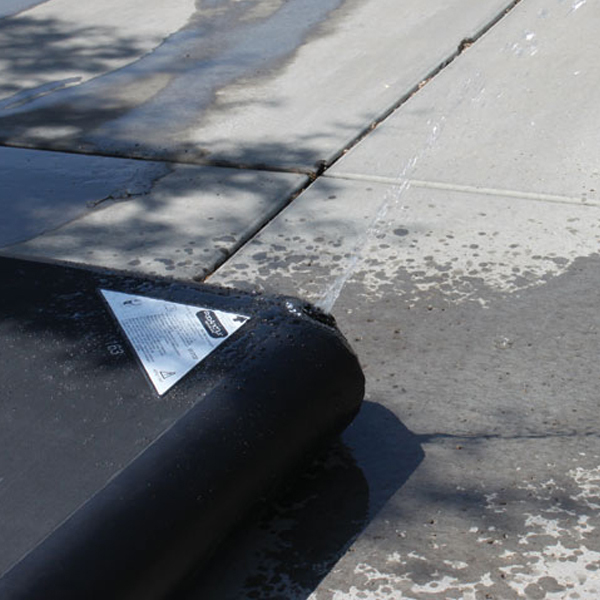 DO NOT DRAG WATER BLADDER BY FILL SPOUT, ESPECIALLY IF PARTIALLY FULL. THIS MAY CAUSE DAMAGE TO THE UNIT. IF SMALL PUNCTURES OCCUR ON THE BLADDER, THEY CAN BE REPAIRED BY USING A TIRE PATCH.